We have read that the people of Denmark are the happiest in the world, not coincidentally they also have the highest level of income equality and the country is frequently ranked as the least corrupt country in the world. 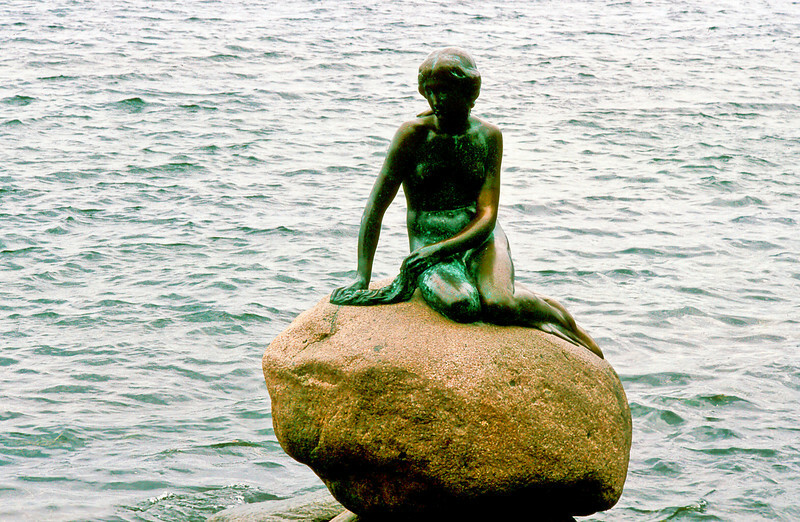 Hans Christian Andersen wrote "The Little Mermaid" in 1836. In 1909, greatly affected by Hans Beck's and Fini Henriques' ballet of the story, Carl Jacobsen (founder of the Carslberg brewery) commissioned the Danish sculptor Edvard Eriksen to create this four-foot-tall statue that has graced in the harbor of Langelinje since 1913. Since Langelinje is where the cruse ships now tie up, and since Disney made her famous beyond balletomanes and readers of 19th century children's stories, she is arguably the most popular tourist attraction in Denmark. Moving nonetheless; if that is not an oxymoronic comment on a a statue.